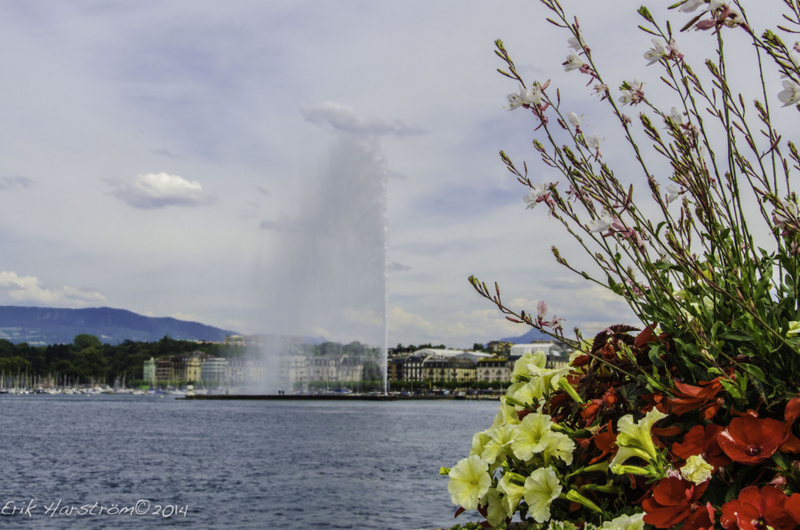 Ask a Local: Where Should I Stay & What Should I Do/See/Eat in Geneva, Switzerland? I consider Seattle my hometown, even though I was born and raised in California. Now, I live in Geneva and work as a project manager in media and communications. In my free time, I love to hike, walk, and snowshoe (depending on the season) in Geneva, its surrounding cantons, and France. If you are flying in, the first thing to do is pick up a free public transport ticket at the airport (in baggage claim) to get to your local destination with no hassle. Once you are settled in and can get to the old town in the city center, I recommend a walking tour—starting from Parc des Bastions, where you’ll see Reformation Wall. From there, head across Place de Neuve to the sign on the large wall about Isaac Mercier, the man who alerted the Genevois guards on the night of L’Escalade (December 11, 1602) about the attack on Geneva by the French Savoyards. Next, walk up the hill (called Promenade de la Treille) to Old Town proper. Once inside the walls, enjoy a nice lunch of fondue or raclette at one of the many cafes or a Calvinus beer in Place du Bourg-de-Four before you climb the steps to the best view of Geneva: the Cathedral of St Pierre. There is a small charge (about $4), but the 157-step climb on a clear day is well worth the effort. 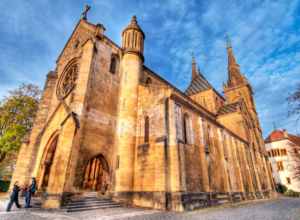 John Calvin, the Protestant Reformation leader, preached in the cathedral and there is a lot to see inside, as well as outside on the viewing platform at the top. If the city is cloudy, there is a Roman ruin museum under the cathedral that is also well worth a visit; it explains the founding of the city and has some amazing archeology. For another small charge, you can get a guided tour (with head-phones) that explains a lot about Geneva and the Allobroges who were first to settle here. After that, wander through old town to see the architecture and maybe take a tour of the Maison Tavel, Geneva’s oldest private residence (“a unique testimony to medieval civil architecture” per the Geneva tourism website). 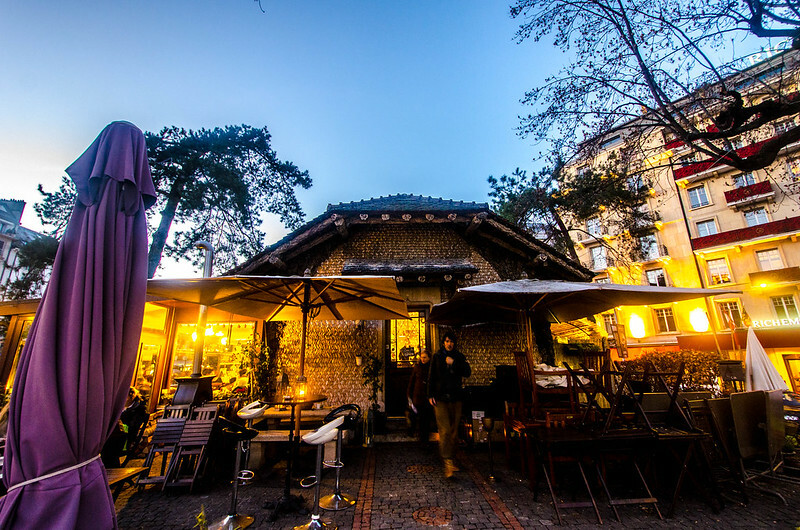 Once you are done touring old town, its shops, restaurants, and the little places to sit and people watch, I recommend heading to the other side of town where the United Nations is located. The UN is served by several buses (5, 8, 11, F, V, and others) and tram 15. Place des Nations has water fountains and several pieces of art dedicated to banning land mines (the large chair) and promoting peace. From the large chair, one can walk directly across the street to see the UN flags and the front of the Palais (the headquarters building), then go left up the street for 10 minutes (near the statue of Gandhi) to the free Ariana Museum of Textiles and Pottery, which is always open and has a cafe and no charge. After that, keep walking up that street to the Pregny Gate of the UN for one of two daily guided tours (at 10 a.m. and 2 p.m., I believe). The art and history inside the UN is amazing and this two-hour tour (at about 12 francs) is done is several languages with a guide. My favorite room is the Spanish Room…the ceiling art piece is stunning. Finally, I recommend a walk to the lakeside and to the Jardin Botanique. The garden is also free and in spring and summer is full of floral displays and blooms and pleasant places to picnic. The lake walk on a clear day has gorgeous views of the French Alps—Mont Blanc, Les Dents du Midi, and more. Walking around the lake, across the pedestrian footbridge near the Four Seasons, will take you to the Ile de Rousseau and the area where a lot of water birds congregate and there are sometimes art displays. Continuing across the bridge into the edge of old town takes you back to the shopping area, more restaurants, and open-air markets. It’s not quite hidden, but the Bains des Pâquis sauna, massage, and restaurant is a great place to relax and enjoy the longer summer evenings. You can swim in the lake here, as well, and the sunset alpenglow on the mountains on clear summer nights is quite memorable. You can get here via buses 1 and 25. In my neighborhood, Champel, the Parc Bertrand is very large and a great place to picnic or read a book on the lawn. There is a kids’ pool in summer and a nice playground. The park is away from traffic noise and is large enough to have a quiet spot to yourself if you’d like. Buses 1, 3, and 8 serve this area. A walk along the Arve River is also a favorite pastime of mine for quiet time and bird watching. Getting to the river by tram 12 or bus 11 or 21 is easy. Finally, the little Sardinian neighborhood of Carouge is quite the joy to discover. It has low buildings that are very old, amazing Sardinian restaurants, great little bars, cafes, and ice cream shops, and nice ambiance. Stay in old town or in the Paquis. Avoid staying by the airport (it’s too far from town). Take a boat around the lake to see several places along the lake in France and Switzerland. Boats and ticket offices are near the Pont du Mont Blanc at the lower part of the Paquis area on the lakefront. 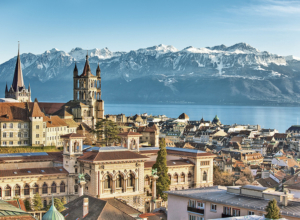 Go to the medieval town of Yvoire, France, or up to Montreux, Switzerland, and enjoy a day on the water and wandering through historical cities. For another very easy day trip, take the train from Gare Corn-avin (Geneva’s main train station) to Nyon to see the castle and the waterfront there. The ride is just 15 minutes. Head up to La Dôle by car through the small towns of Cheserex and Gingins and hike near La Barilette or all the way to the top of La Dôle. That area has great views of the French Alps and on a cloudy day in Geneva there can be a lot more sun above the clouds on these hills. As for hiking near the lake, there are trails along Lake Geneva easily accessible in Nyon, Geneva, Morges, and Gland. By far, my favorite hiking is a little bit out of town, along the wine trail of La Vaux. 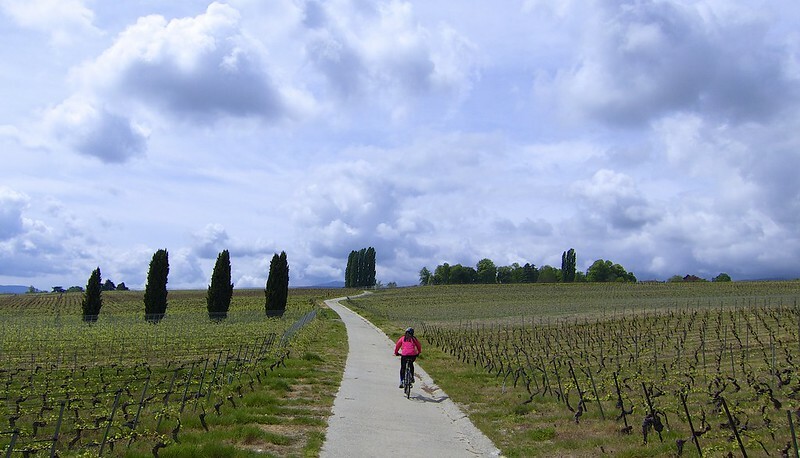 The trail—from St. Saphorin to Lutry—is a UNESCO World Heritage Site and has terrific views of wineries and the lake. St Saphorin is a cute medieval town with great photo opportunities (I recommend starting here and exploring the town before your hike). The hike is about 3.5 hours long, well marked, fun, and has some medium difficulty sections. The wineries are not usually open along the route (as they are working wineries), so stopping to picnic means bringing a lunch and wine of your own to enjoy in one of the tiny towns or near the edge of the vines at a small picnic area. 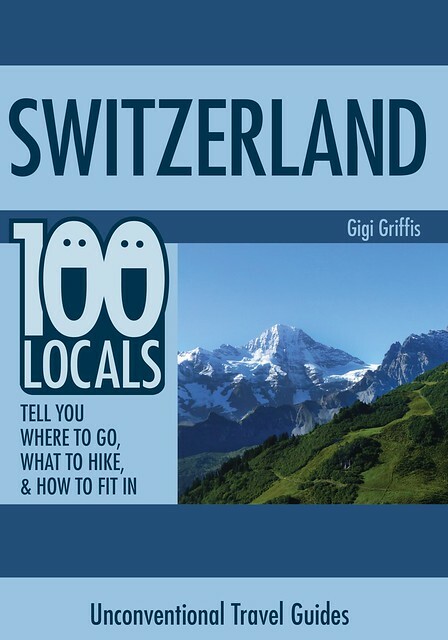 Get 100 interviews from top chefs, mountain guides, and locals all over Switzerland. My favorite fondue and raclette are served in the old town in a restaurant called Les Armures (at Rue du Puits-Saint-Pierre 1 by the old armory). The food, wine, and staff are really great. Wines of Dardigny, Satigny, and Russin near Geneva are terrific (particularly the whites). The red Gamaret is very local and very good. My favorite Gamaret is by La Clemence, a local winery. Local wines can be purchased at most grocery stores here. And, of course…chocolate. Try the type of cure truffles called pave. They are sold in several chocolatiers and grocery stores. These are a Geneva specialty. Les Armures (at Rue du Puits-Saint-Pierre 1) is excellent for food and wine. Chez Ma Cousine (at Place du Bourg-de-Four 6) is good for chicken, fries, and small budgets. And Parfums de Beyrouth (on Rue de Berne in Pâquis) has the best Lebanese food—falafel, hummus, etc.—you’ll find in Geneva. It’s also inexpensive. For 39 francs you can buy a one-week pass that will work on all buses, trams, and mouettes (tiny boats that go across Lac Léman) in the city. The office of TPG behind Gare Cornavin sells these passes, which also cover the airport train. And taking the mouette boats across the lake to places like Eaux Vives then back to Pâquis and over to old town (Molard) is a fun thing to do that is covered by a bus pass. As noted above, try Parfums de Beyrouth and Chez Ma Cou-sine for inexpensive food. Several of the sights in Geneva are free or cheap—like the view from the cathedral. At the tourist office (in the main post office on Route de Mont Blanc, directly across from the train station down into the Pâquis) you can also get some passes for Geneva sights and tours. Water fountains are operational most of the year except freezing winter…if they say eau potable on them, fill up your water bottle; the water is clean and completely safe to drink and will save you tons on buying water in the stores. Same goes for hotel water, it’s all ok to use and drink. Be quiet on your phone or when talking in groups on public transport. Don’t play your music without headphones. Let people get off the bus, train, etc. before you get on and help little old ladies, pregnant women, or women with babies in a stroller get on or offer them your seat as a courtesy. Say bonjour (hello) to people when you see them on the street (unless there are crowds) and say it again when you walk into a shop. When you leave, say merci, au revoir (thank you, goodbye). Being polite to people in your apartment building is key, as is finding groups to network with based on interests. Glocals.com is a great resource. The best shots are from the St. Pierre Cathedral, the Place des Nations, and the lakefront on a clear day. 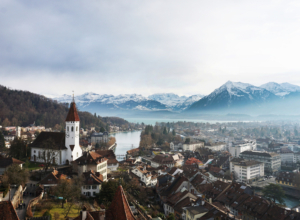 Check out the myswitzerland.com for fun things to do and cff.ch (the train website) for deals and itineraries in the region. For accurate bus and train schedules, visit tpg.ch. I visited Lynn, a good friend of mine, and we did a few of these things. I highly recommend the climb up the cathedral tower — views are fab! And the walk along the lake through the Lavaux Terrace Vineyards? LOVE IT! Lynn and I had a wonderful time. We watched the sun set from St Saphorin. It was gorgeous. Wines are delish too. Geneva is a wonderful city and I was lucky enough to have a great guide who also happens to be a very good friend! Fun! And thanks for sharing – always good to have a second opinion to back up the recommendations. We are looking for cheapest Swiss traditional food restaurant in Geneva,where we can try some Swiss famous foods item like “Fondue”. Could you suggest me top 5 must try Swiss foods? Should I buy any Swiss chocolate from any shop? Or you can recommend me name of chocolate too. There are definitely more suggestions in the book! Check it out (see above for links).